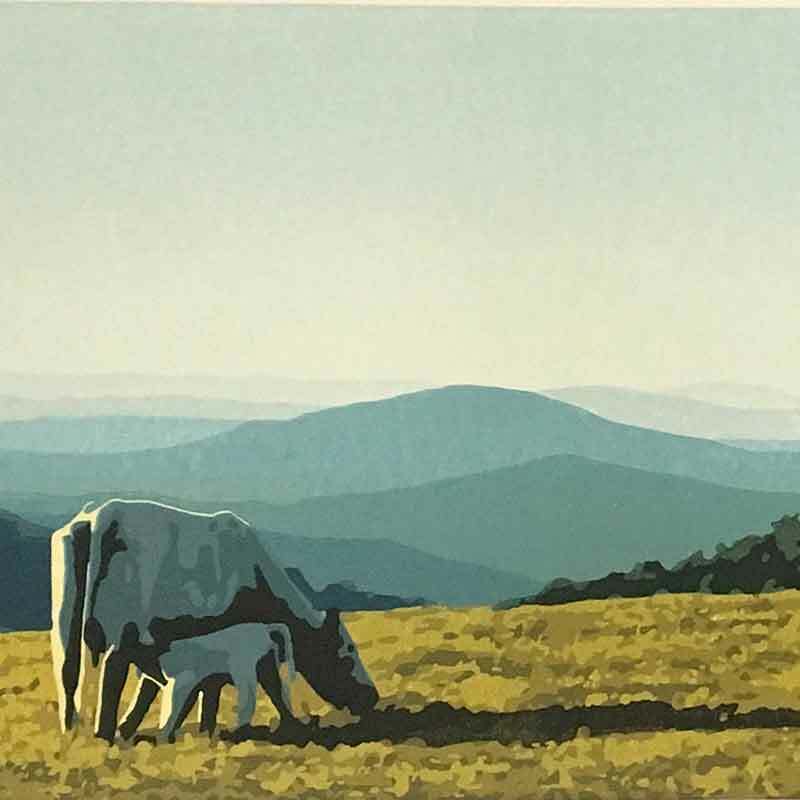 This is a workshop for people who are already comfortable with working with lino, and want to take their work to a new level. 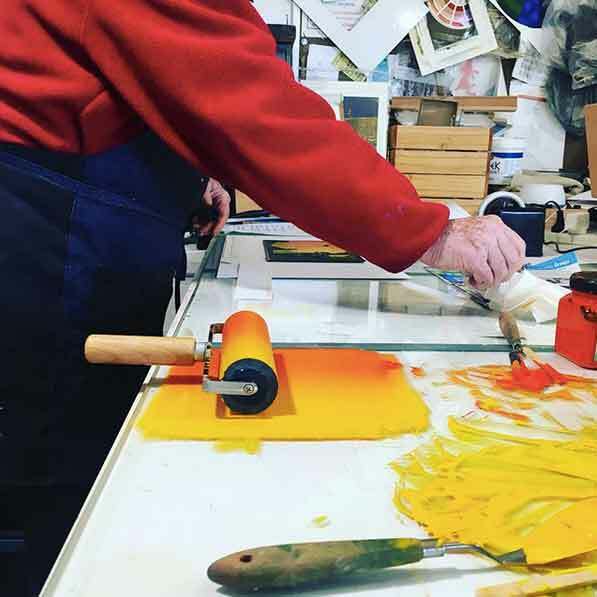 We will focus on producing a colour print using the reductive linoprinting method, looking to incorporate several different methods in applying colour. We will look at different ways to prepare your image, separating colours and planning how many colours to print. 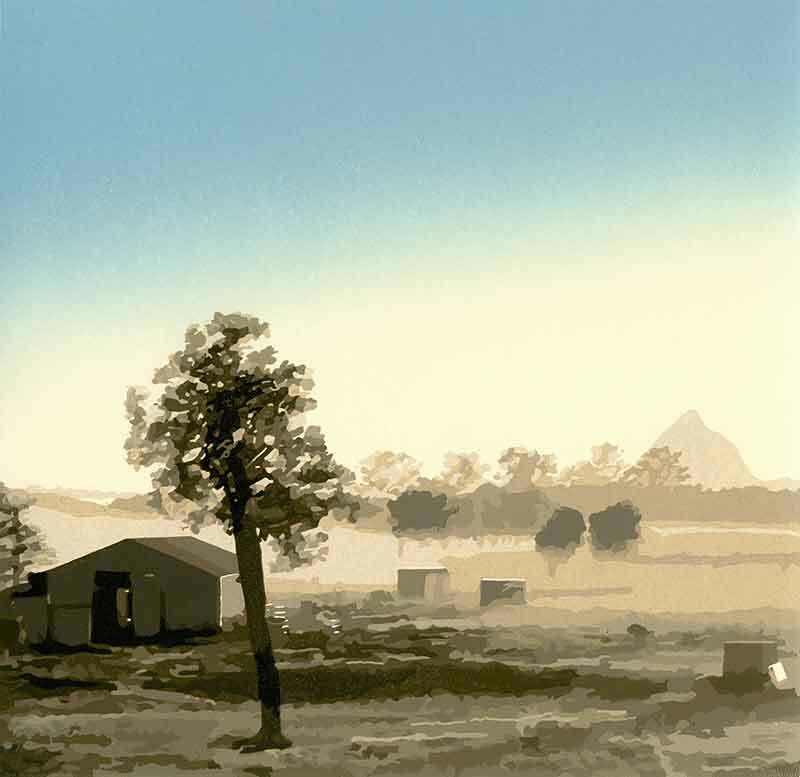 We will expand on image registration, covered in the Colour and Reductive Linoprint Basics workshop. 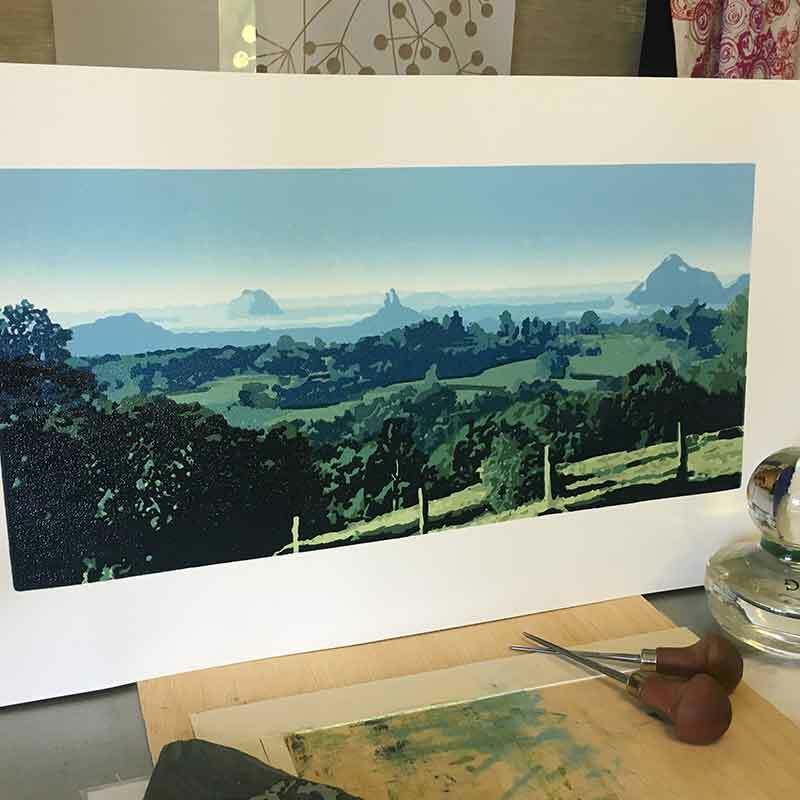 You will start to print your edition onto quality printmaking paper, and depending on the number of colours you wish to print with, you may need to complete your print at home. We will discuss this before you start so you can plan your work around taking it home to complete after the 2 days. Suitable for intermediate to advanced, all ages over 16. More dates announced throughout the year. More about dates below. 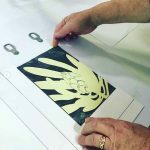 This is not a beginners linoprinting workshop – it is a workshop designed to further develop skills for people who have already worked in lino printmaking and feel comfortable with the medium. The overall objective of this workshop is to assist you directly with producing a specific image of your choosing. I will assist you with planning your image, including separating colours and how to prepare to print your colours. We will work to ensure you have a clear understanding of how to register your print to ensure consistent and accurate colour reproduction. We will discuss different methods for printing more complex images including printing with multiple and ‘jigsaw’ blocks and masking. Time permitting, we will look at lino etching (using caustic soda) and different methods for transferring your image onto your lino printing plate. 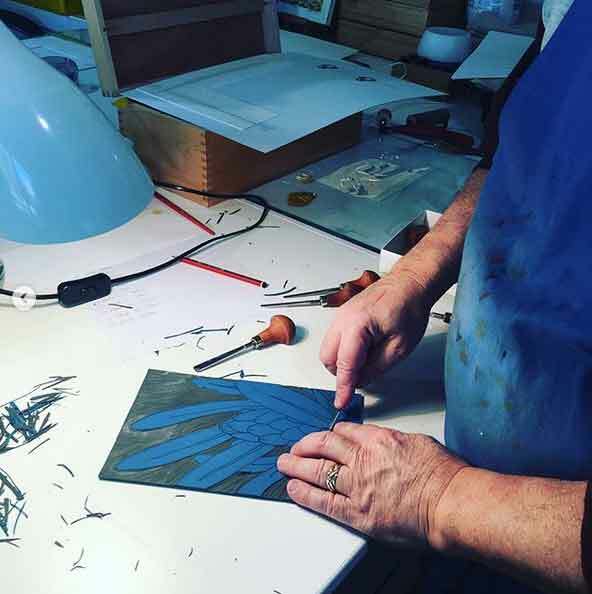 All necessary materials for making your first lino print are covered in your Materials Fee and provided for this workshop. Your image or design. 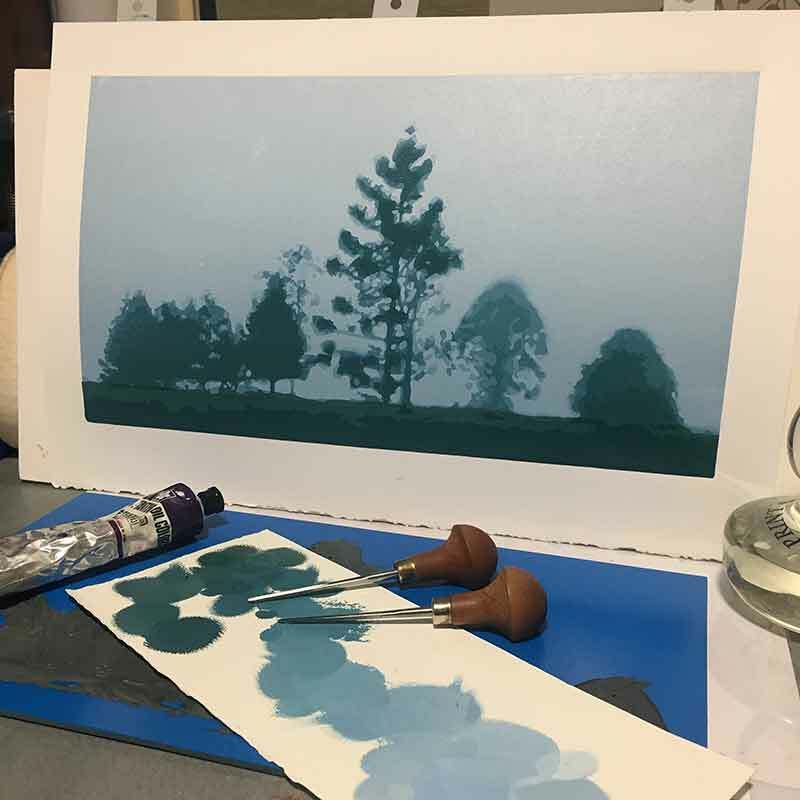 For this workshop you will decide on the image you want to print before coming to the workshop. We will have some discussion about your image before the weekend, so you’re ready to get into the process as quickly as possible. Please also bring a journal or notebook for taking notes during the workshop. ​Participants are advised to wear closed in shoes, and suitable clothing or apron that you do not mind getting ink on. The inks can set permanently on fabric. In this workshop we will print with water based inks, so washup of tools and hands will use soap and water, not potent cleaning chemicals. We use sharp tools to carve lino. You will be given instruction on how to hold and use the tools, and it will expected that you follow instruction and take care while using them. If the dates noted above don’t suit you, or you would like private tuition or to book a private group workshop, this can be arranged. Please contact me and enquire about other date options that better suit you. I love being with like minded people, so we were off to a good start. Kim is very well organised and extremely willing to share her knowledge as well as the tips and tricks she has learned, admitting freely that some of these were by making her own mistakes 🙂 She is welcoming and very passionate about her work - instead of just letting us know what to do, she challenged us and got us thinking about how we could resolve our own dilemmas, but also stepped in with suggestions if we got stuck. My fellow student and I were fortunate enough to do the workshop in Kim's own studio, and it is a very creative space. Again, she was very willing to share her equipment and absolutely everything you could possibly need was provided. Having said that, she had loads or equipment and supplies in boxes and if, due to class size you did the workshop in another venue, you would want for nothing. I'd recommend booking a workshop with Kim. Even if you have done some reductive work previously, you will definitely come away with additional knowledge and some skills about how to tackle a reductive project.